The research, compiled from analysing more than 4,000 transactions at more than 135 active projects, shows the average time on market for land in Melbourne in the first quarter of 2016 was 2.5 months. With the exception of the first quarter of 2015, the average time on market as fallen every quarter since the third quarter of 2013 or remained steady, after peaking in the current cycle at 6.6 at the end of 2012. Bridgefield Estate in Melbourne’s west in the six weeks since the development’s official launch in March. The first land release of the 3L Alliance and Goldfields-developed $320 million estate at Rockbank has received unparalleled attention from the local market after more than 20 groups of buyers slept overnight in cars to secure one of the first 57 lots last month. Oliver Hume Director Paul Ciprian said low interest rates were a key driver for sales. “The RBA’s rate cuts are certainly an added incentive for buyers on top of Bridgefield’s existing affordability and high quality land and lifestyle offering,” he said. “A good value, high quality opportunity like Bridgefield will always attract buyers. All signs point strongly to this community (Bridgefield) being very tightly held now and in the coming years,” he said. Oliver Hume's George Bougias[/caption]“This record low can be attributed to several factors, but primarily it is a function of the declining cost of borrowing and increasing levels of consumer and investor confidence as a result of the strong Victorian economy,” he said. 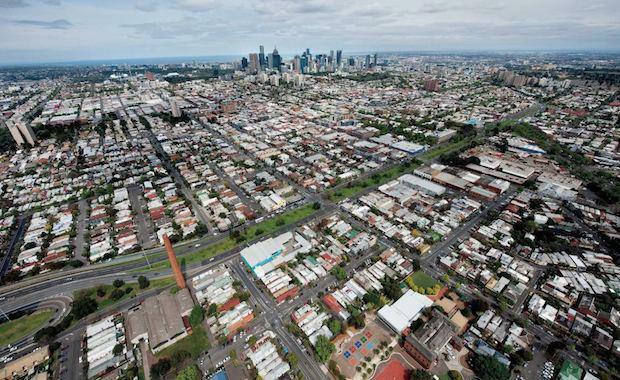 While the Melbourne land sales market is the strongest he’s seen in some time, Mr Bougias said buyers need to be conscious that conditions could change over the next 12 months. “APRA’s move to tighten investment lending affected the market as did banks amending loan serviceability criteria - these changes are now working their way through the system. It’s crucial for investors to continue to remain aware of broader market conditions,” he said.